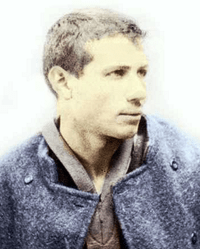 Sante Geronimo Caserio (September 8, 1873 – August 16, 1894) was an Italian anarchist and the assassin of Marie François Sadi Carnot, President of theFrench Third Republic. Caserio was born in Motta Visconti, Lombardy. On June 24, 1894, he fatally stabbed President Carnot after a banquet, to avenge Auguste Vaillant and Emile Henry. I heard the “Marseillaise” and the cries of “Viva Carnot!” I saw the cavalry come up. I understood that the moment had come and I held myself ready. On seeing the President’s carriage I drew my dagger and threw away the sheath. Then, when the carriage was passing close by me, I sprang forward to the step, supported myself by resting my left hand on the carriage, and with my right hand buried the dagger in the President’s breast. Pietro Gori (14 August 1865 – 8 January 1911) was an Italian lawyer, journalist, intellectual and anarchist poet. He is known for his political activities,and as author of some of the most famous anarchist songs of the late 19th century, including Addio a Lugano (“Farewell to Lugano“), Stornelli d’esilio(“Exile Songs”), Ballata per Sante Caserio (“Ballad for Sante Geronimo Caserio“). Continuing the very slow tour through the links roll, from the bottom up. This is the blog of one of the many fractious factions of the American “Marxist-Humanist” current, the political and philosophical current inaugerated by Raya Dunayevskaya. Dunayevskaya was Russian-born and multilingual, emigrating to the United States as a child. She joined the Communists young, but became part of the Trotskyist left opposition early on. She joined the left opposition group around Antoinette Konikow, which, after leaving the CP formally constituted itself as the Independent Communist League (see “Letter to Lovestone“, 1928). Konikow’s group threw in its lot with the larger Trotskyist group around Shachtman, Cannon and Abern, the Communist League of America which we looked at here. She was briefly one of Trotsky’s fleet of secretaries in Mexico in 1937. (According to Will Lissner, “Ms. Dunayevskaya joined Trotsky’s entourage in 1937. She served as his Russian secretary, which is to say his economist. (Trotsky’s Russian secretaries always collaborated on his economic articles. )”) For a while, Dunayevskaya was closely associated with CLR James; they parted with the Trotskyists; and then they parted ways with each other. It was at this point, in the 1950s, that she began to articulate her position as “Marxist-Humanism”. Personally, I have a real problem with the kind of proper-noun nature of “Marxism-Humanism”, the way that it imagines itself as a fully formed, complete system which encompasses everything. It feels very theological to me, and inherits some of the worst traits of orthodox Leninism in this regard. It is probably for that reason that Marxist-Humanists have been as sectarian and fractious as the Trotskyists, especially in their American homeland, where the roots in the Trotskyist milieu and its sectarian culture are probably strongest. 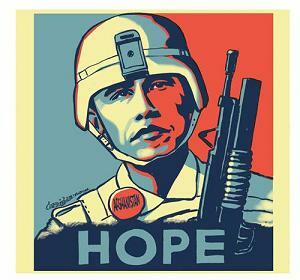 The “US Marxist-Humanists” are an affiliate of the International Marxist-Humanist Organization. Its three gurus are, I believe, Peter Hudis, Kevin Anderson and David Black, who are all extremely interesting Marxian scholars. The website has a number of interesting articles, including, for example, on the possibility of war with North Korea, on economic turbulence, on Marxism and non-Western societies, on Hegal and Rosa Luxemburg, and lots more. Well worth a good rummage around the archives. Actually not on my blogroll, but I thought I’d take the opportunity to link to Irving Horowitz’s review of A Dictionary of 20th Century Communism, edited by Silvio Pons and Robert Service. I am a big fan of William Morris, one of Britain’s few original Marxist thinkers, and a key figure in the development of libertarian socialism, as well as a good writer and designer. The William Morris Society tends to lean towards his arts work rather than his politics, but has lots of fascinating stuff. American readers should check out what the Society is doing on that side of the Atlantic, while British-based readers should check out the UK branch‘s events. There’s also a branch in Canada. News from Anywhere is the blog of the William Morris Society. They have a journal. The new issue of the Journal (Volume XIX, Part 1, Winter 2010), which will be appearing shortly, contains the following articles (among others): “‘Socialism” and “What we have to look for’”: Two unpublished lectures by William Morris’ (Florence S. Boos); Denys P. Leighton, ed, Lives of Victorian Political Figures IV. Volume 2: Thomas Hill Green and William Morris (reviewed by Tony Pinkney); Laurence Davis & Ruth Kinna, eds, Anarchism and Utopianism (reviewed by David Goodway). The Winter 2011 issue of the Journal (Volume XIX, Part 3) will be a special issue with the theme ‘Morris the Green’. What Next? is an occasional magazine of independent-minded left socialism in the UK, deeply engaged with the history of the Marxist tradition, and bursting out of the straitjacket of orthodox Trotskyism. It is edited by Bob Pitt, and sadly Pitt seems to have spent more and more of his time on his IslamophobiaWatch project; his involvement with the reactionary politics of the apologists for the Muslim Brotherhood has, alas, been very much to the detriment of the development of British marxism, and the journal now almost never appears. The “current” issue is from 2007, it contains a load of nonsense from Tony Greenstein about the AWL and a welcome “enlightened” criticism by my comrade Andrew Coates of the SWP’s Ian Birchall and his defence of Islamism (written, I think, before the smallest mass party in the world divorced Respect). More relevant to our purposes are WHAT HAPPENED IN THE SPANISH CIVIL WAR? in which Jim Creegan takes apart some of Counterpunch’s Stalinist propoganda and THE ‘SPIRIT OF PETROGRAD’? THE 1918 AND 1919 POLICE STRIKES in which Owen Jones rescues some British radical history. The ever about to be published issue no.32 may or may not contain the following items, among others: LESSONS OF THE ANTI-NAZI LEAGUE by Toby Abse, THE MAY DAYS IN BARCELONA by Andrés Nin and some items of Sri Lankan Trotskyism. Browsing through some of the back issues, some gems include UNDERSTANDING FASCISM: DANIEL GUÉRIN’S BROWN PLAGUE David Renton, A DANISH TROTSKYIST IN THE SPANISH CIVIL WAR Åge Kjelsø, THREE DOCUMENTS, 1921-1926 Victor Serge, AUSTRO-MARXISM AND THE NATIONAL QUESTION Andrés Nin, TOGLIATTI: LOYAL SERVANT OF STALIN Tobias Abse, LIFE AFTER TROTSKYISM: A PERSONAL ACCOUNT Harry Ratner, NDEPENDENT LABOUR POLITICS Martin Sullivan, STALIN: WHY AND HOW Boris Souvarine, TROTSKYISTS AND THE LABOUR PARTY: SOME LESSONS FROM HISTORY John Archer, and lots more. There is a significant overlap between the Weekly Worker milieu and the What Next? milieu, despite the former’s Stalinist heritage and the latter’s Trotskyist one. Weekly Worker, the organ of the party currently known as the CPGB, not to be confused with the old CPGB, or indeed with the legendary New York nightclub CBGB. In the early 1990s, I used to read a fascinating magazine called Open Polemic, which eventually mutated, more or less, into the Weekly Worker. OP was a heavy-duty theoretical journal dedicated to “communist rapprochement”, which utterly failed to rapproche many communists. WW is indispensable reading for all left trainspotters. It is particularly good on Iran and trade unionism, and particularly bad on Zionism and the war on terror. Here are some articles you should read: Theocracy threatens bloodbath as mass movement grows: Iranian workers are one the offensive, reports Chris Strafford; Not explaining the crisis: David Osler reviews Chris Harman’s Zombie capitalism: global crisis and the relevance of Marx; Anarchist bombs and working class struggle: David Douglass reviews Louis Adamic’s Dynamite: the story of class violence in America AK Press; More glasnost, less perestroika: Maciej Zurowski interviews Circles Robinson of ‘Havana Times’, a web magazine that features critical writing from Cuba. Previously: Ry Cooder: Christmas in Southgate; Woody: Hobo’s Lullaby; Woody: All the right enemies; Woody: Alll you fascists. Speaking of optimism, here’s the peroration of a speech that James P. Cannon, an American socialist, made in 1953. Nothing that has happened since his death in 1974 would have surprised him if he’d lived to see it, or disillusioned him. He had no illusions. 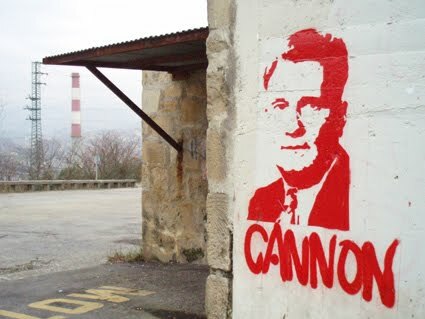 Cannon’s theoretical conviction allowed him to face unflinchingly the terrible realities of the 20th Century: World War, the rise of Stalinism, the Depression, the Yezhovschina, the Second World War, the Holocaust, the atomic bombings, the Stalinist labour camps, the Cold War and the colonial wars. Unlike some, he faced and fought them all while they happened, in real time. He never gave an inch. We’re all so much more sophisticated now. *Poumista postscript: as a bit of a Silonian/Shachtmanite, I don’t agree with this bit of what Ken says! I have neglected Music Mondays for a few weeks, but am inspired to reinstate it by the excellent blogger Stuart. Orwell’s Kilburn flat is getting a new blue plaque, which is nice. And it is Orwell Prize nomination time of year again. Phil AVPS picks his best ten posts here, and reckons Laurie Penny will get it because she is surfing the zeitgeist, a suggestion Paul in Lancashire beautifully deconstructs here. I’m not sure if I’ll nominate myself; I don’t think I managed ten decent posts in 2010. Totally unrelated, here’s Ron Radosh on the decline of the New York intellectuals. Talking of NY intellectuals, Alfred Kazin’s journals are soon to be published. The Accidental Anarchist: an interview with writer Bryna Kranzler. On the 20th January we’re with Bob from Brockley and then at the beginning of Feb we’ll be with the Great Unrest. Mostly via Ent.. as usual. * Dublin Council of Trade Unions: In Dublin City in 1913: Songs and Stories of the Workers of Dublin, May Day Festival, 1988. There are articles on 1913, on May Day in Dublin since 1890, a profile of Jim Larkin and James Connolly and a range of other materials of interest. * [Leon Trotsky] Leo Trotskij: Revolutionen i Spanien och kommunisternas uppgifter (1931). In Swedish. * National Youth Committee, Communist League of America (Opposition): Young Spartacus, Nr. 1-11 (1931-1932) // Opposition Group in the Workers (Communist) Party of America/Communist League of America (Opposition): The Militant, 1-18 1929 // Communist League of America (Opposition): The Militant, 1-34 1930 /The Militant, 1-37 1931. // * Hugo Oehler: Americas role in Germany (1933) / Communist League of America (Opposition) (CLA): The Militant, 8. Dezember 1934. These are early texts of the Trotskyist movement in America, mainly written by James P Cannon, Max Schactman and Martin Abern. 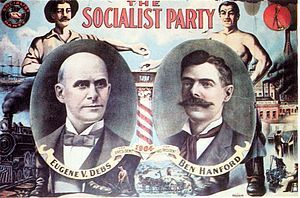 The movement went through a number of incarnations until 1940, when Shachtman and Abern, with James Burnham, left to form the Workers Party (taking Hal Draper, CLR James and the other most intelligent members of the movement). * Karl Korsch: The Passing of Marxian Orthodoxy: Bernstein-Kautsky-Luxemburg-Lenin (1937). In this dense and not particularly readable short text, Korsch argues that Eduard Bernstein, Karl Kautsky, Rosa Luxemburg and Vladimir Lenin were all essentially exemplars of a moribund orthodox Marxism which fetishised the form of the political party. * Hal Draper: Marx and the Dictatorship of the Proletariat (1962). This is from New Politics, Vol. 1, No. 4, Summer 1962. It was later, I think, expanded into his major work Karl Marx’s Theory of Revolution, Vol III: The Dictatorship of the Proletariat, published by Monthly Review Press. Around this time, Draper broke from Shachtman (by then leading an entrist faction in the Socialist Party) to form the Independent Socialist Club (ISC), and I think that the article bares traces of his struggle with the legacy of orthodox Trotskyism in the Shachtmanite scene. * Brian Pearce: Trotsky as an Historian (1960). I think of Pearce as Britain’s Hal Draper. 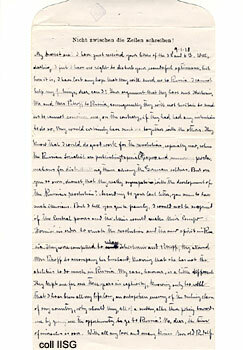 This from the period of his evolution from Pollit-esque Brit-Stalinism to orth0-Trot politics, writing for The Newsletter, the publication of Gerry Healy’s Trotskyist “Club“, which in 1959 became the Socialist Labour League (later the Workers Revolutionary party) – the paper edited by Pearce’s close comrade the great Peter Fryer, with whom, I think, he had left the CPGB. * Martin Glaberman: Regis Debray: Revolution Without a Revolution (1968) / Indonesian Communism: The First Stage (1968) / On Balance: The French Events (1968) // George Rawick: Toward a New History of Slavery in the U.S. (1967) / A New Nation in a New World (1967) /George Rawick: Notes on the American Working Class (1968). These are texts by three figures then involved in the journal Speak Out, monthly newsletter (edited by Glaberman) of the Facing Reality group, which evolved from the Johnson-Forest Tendency founded by James and Dunayevskaya as they moved away from the Trotskyist movement. Kent Worcester, in C.L.R. James: A Political Biography, sees this period as Facing Reality flirting with Maoism, so it is interesting to read these texts in that light. * International-Communist League (I-CL): Debate on Cambodia, 1979 (1978/1979). 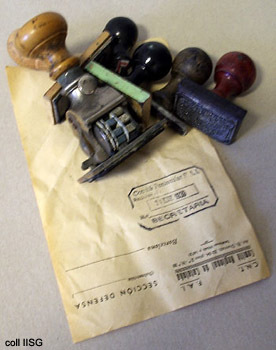 The I-CL was the forerunner of the Alliance for Workers Liberty (AWL). * Alan Johnson: The „other Trotskyists“ and Palestine (~ 1997). Here Johnson, then of the AWL, discusses the politics of Hal Draper’s movement.